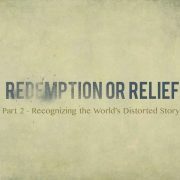 This is the second installment of a short blog series titled Redemption or Relief. 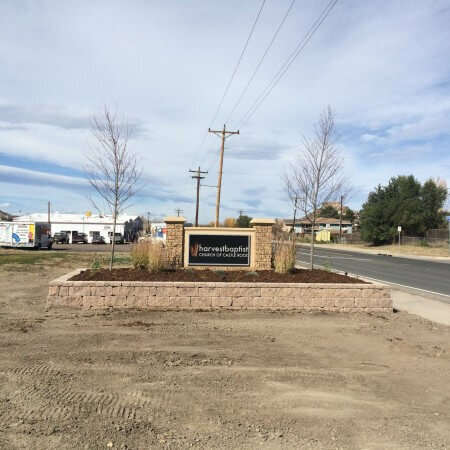 I hope that this will be an encouragement to our church as we follow Christ together. As you read I encourage you to ask yourself this question, “Would I be satisfied if the only thing redeeming in this suffering were that it gave glory to God?” If you have not read the first installment of this blog series click here to read it. 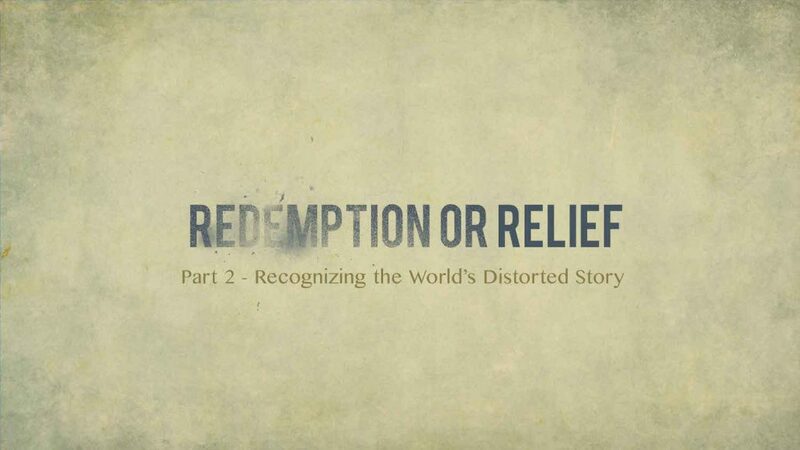 As a quick review in our first installment we looked at God’s story of redemption as it relates to human suffering. God desires to redeem man’s suffering by restoring His relationship with them through Christ’s work on the cross. It is the intention of this installment to help us to recognize the World’s distorted storyline. Our world is actively telling us a very different story. Its story does not explain suffering; in fact it avoids the idea all together. Its perfect story ends when the handsome healthy hero rides off into the sunset. This story is myopic and incongruent with the reality that many people face. It points to lasting hope through relief, which is out of their control and often an empty promise in this temporal fallen world. When a person’s story doesn’t match this fairy tale story the world offers to edit the storyline to make sense of reality. Because of the fallen nature of the world is powerless to redeem suffering or give meaning and purpose. Instead the world proposes the mirage of relief. It offers new treatments, medications, diets or homeopathic remedies that promise healing. There is always something new in the medical fields. Well-meaning people are often ready to share a new ‘miracle’ cure that has changed their life, or the life of someone they love. Each of these cures offers hope for healing. And the reality is some of them may actually bring the healing or relief they promise. But because the medical fields are constantly changing and science is bringing new and better treatments every day, pursuing each and every avenue of treatment could become the hopeless endeavor of a lifetime. And a life is exactly what these sufferers are trying to purchase back. As well intentioned and promising as each of these treatments may seem they offer hope that is not a guarantee. This is not to say that a person should not pursue medical treatment or cures, but that they should guard their mind against the twisted story line of the world that relief will bring them peace. Satan, the crafty serpent from the garden, has been twisting storylines since the very beginning of time. The scriptures record his distortion of God’s story in Genesis 3:1. “Did God actually say, ‘You shall not eat of any tree in the garden?’” Eve answers the deceitful serpent with God’s command, “We may eat of the fruit of the trees in the garden, but God said, ‘You shall not eat of the tree that is in the midst of the garden, neither shall you touch it, lest you die (Gen 3:2-3).’” Satan immediately began to attempt to diminish the command of God by distorting the cost, “You will not surely die (Gen 3:4).” He offers the opportunity to cheat death. This subtle lie can lay hold of the heart of a person suffering from a disease. By taking these pills, doing this treatment, pursuing these cures death can be averted and pain can be relieved. The reality is that because of the curse of sin pain has become an unavoidable part of life. Death cannot be cheated (1 Cor 15:22, Heb 9:27). Though its intentions may not be as deceitful as those of the crafty serpent in the garden the world offers similar rhetoric. “Since the moment sin entered the world, straightforwardness was lost in communication. Barrier-free communication left creation.” The reality is that at the fall all communication broke down. It is practically impossible to offer a remedy without also offering the resulting hope and relief that will come from its success. Though unintended this communication breakdown is the effect of the fall. The story that the world tells will always become distorted and partial. When a person becomes hopeless because none of the treatments are working the world offers a new perspective through therapy that instructs sufferers to look for the positives in the negative. They offer multiple techniques to reduce stress, enjoy each moment intensely, reorient priorities, do something good or learn to love yourself more. Each of these are presented as solutions for suffering. Marshal Segal addresses the folly of these self-care methods when he wrote, “It’s the licensed healthcare equivalent of turning up Taylor Swift so loud you couldn’t possibly think about anything else. Just shake it off. It’s medication by distraction, not redemption. Practicing forgetfulness, rather than pursuing forgiveness.” While Segal’s characterization of self-care may not offer a full understanding of the complex therapeutic methods that the world presents. His conclusion is correct. Therapy seeks to distract from the reality of the pain and fails to give true meaning and purpose. It offers relief through distortion rather than purpose through redemption. This is not to say that sufferers should simply relegate themselves to the idea that there are no cures, to stop pursuing medical help or just accept the cold hard facts. This mindset diminishes God’s healing the power (Jas 5:14-15). A practical guide to how a sufferer ought to pursue medical remedies will be addressed more deeply in a future installment of this series, but for now it is important to remember that healing is not always what God has in store for those who are suffering. While this may be discouraging for many, Paul actually found comfort in this when he said, “But he said to me, “My grace is sufficient for you, for my power is made perfect in weakness.” Therefore I will boast all the more gladly of my weaknesses, so that the power of Christ may rest upon me (2 Cor 12:9).” Paul actually rejoiced in his suffering. Weakness was cause for him to worship in the midst of his suffering. Abner Chou, ed., What Happened in the Garden: The Reality and Ramifications of the Creation and Fall of Man (Grand Rapids, MI: Kregel Publications, 2016), 177. Marshal Segal, “The Insanity of ‘Self-Care’,” Desiring God (blog), March 14, 2016, accessed April 14, 2016, http://www.desiringgod.org/articles/the-insanity-of-self-care.